Carlos is a very sweet, yet mischievous boy. He came to Fond Blanc from Port au Prince. He has one sister who is back in Port au Prince with his mother. Carlos loves to show visitors the tricks he can do with his hands and eyes. 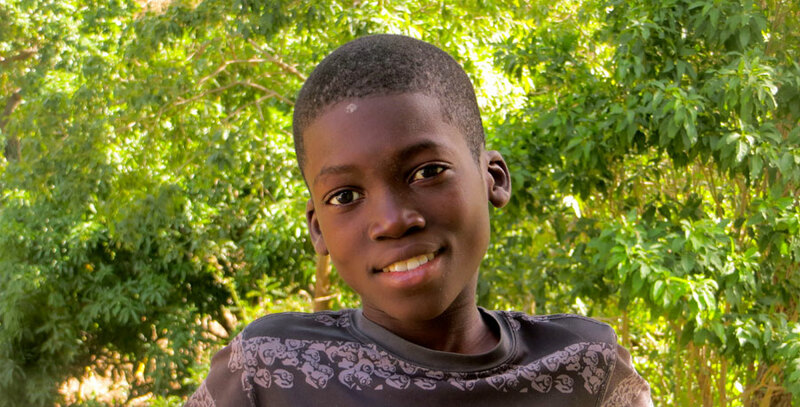 Carlos loves being able to play with his friends when he wants at the orphanage. His best friend is Benamy. You can often find the two of them playing soccer, their favorite activity to do. He’s also loves to help the missionaries with their projects and joining them during worship. When he grows up, he would like to be a doctor to be able to help people.